The Mediterranean diet is not intended to be a weight loss diet; rather, it's a way of eating that is similar to the diet of those living near the Mediterranean Sea. The Mediterranean diet consists of large amounts of vegetables, fruits, beans, legumes, whole grains, olive oil, seeds, herbs and spices. It also includes fish, seafood, eggs, cheese and poultry, and it recommends infrequent red meat and sweets. A study published in the Journal of Nutrition found that women who consistently ate a Mediterranean diet demonstrated better current cognitive functioning. The researchers of this study concluded, however, that this type of diet did not protect the women from future cognitive declines. Other studies found that adherence to a Mediterranean diet was correlated with improved cognition in people (both men and women) over the age of 65, as well as slower rates of overall cognitive decline. Multiple studies have demonstrated a connection between following a Mediterranean diet and a decreased risk of Alzheimer's disease. Research has also demonstrated a reduced risk of developing mild cognitive impairment for those who adhere to a Mediterranean diet. Mild cognitive impairment is a condition that sometimes, but not always, leads to further cognitive decline and a diagnosis of Alzheimer's. Research outlined in the Journal of Alzheimer's Disease indicates that people with mild cognitive impairment were less likely to progress to Alzheimer's disease if they consistently followed a Mediterranean diet. Which Comes First- the Chicken or the Egg? One study found that intelligence level at a young age predicted how healthy of a diet the person would consume at middle age, as well as that person's level of cognitive functioning in late life. The researchers concluded that initial intelligence level predicted late-life cognition, rather than mid-life diet determining memory and other cognitive abilities in later life. Does Meat Consumption Make a Difference? An interesting study considered how the different foods that make up the Mediterranean diet- when separated- affect cognition. 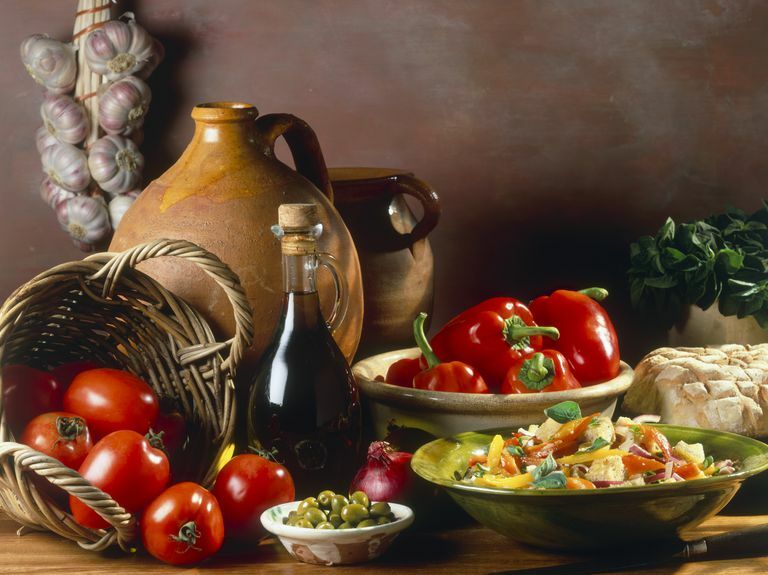 These researchers found that the Mediterranean diet as a whole approach wasn't significant. However, when the different foods of the Mediterranean diet were isolated, they found that a low consumption of meat and meat products was significantly correlated with better performance on a cognitive screening test and increased brain volume. Although the research doesn't agree on every aspect, it appears very likely that a healthy diet such as the Mediterranean diet is good for our brains- perhaps both in current cognitive ability and also in reducing our future risk for dementia. Can Eating Apples Help Alzheimer's Disease?